On the way from the grave, the grandfather talked of taking their own lives, as many others had done. Just then they saw the placard that Elder Schreiter had posted on the building—“Is there further life after death?”—with an invitation from The Church of Jesus Christ of Latter-day Saints. At a meeting, they learned of the Book of Mormon: Another Testament of Jesus Christ. • And many other jewels that make up the fulness of the gospel of Jesus Christ. 1. See Ex. 28:30; Lev. 8:8; Num. 27:21; Deut. 33:8; 1 Sam. 28:6; Ezra 2:63; Neh. 7:65. 4. See 2 Ne. 2:21; 2 Ne. 33:9; Alma 12:24; Alma 34:32; Alma 42:4. 5. See 2 Ne. 9:3–7; Mosiah 16:8; 3 Ne. 11. 6. See Alma 34:34; Alma 40:11–14, 21. 7. See 2 Ne. 9:12; Alma 40:23; Alma 41:2; 3 Ne. 11:1–16. 8. See Mosiah 4:1–3, 12, 26; Alma 4:14. 9. See Alma 34:15–16; Alma 41:14; Alma 42:15–16, 22–25. 10. See 2 Ne. 4:35; 2 Ne. 32:8–9; Enos 1:9; Alma 13:28; Alma 34:17–27; Alma 37:36–37; 3 Ne. 18:19–21; Moro. 7:26. 11. See 2 Ne. 6:2; Mosiah 18:18; Alma 6:1; Alma 13; 3 Ne. 11:21; 3 Ne. 18:37; Moro. 2:2; Moro. 3:4. 12. See 2 Ne. 11:5; Mosiah 5:5; Mosiah 18:13; Alma 13:8, 16. 13. See 2 Ne. 32:2–3; Omni 1:25; Moro. 7:25, 37. 14. See 1 Ne. 16:9; 1 Ne. 17:44–45; Enos 1:10; Alma 32:23; Hel. 5:30; 3 Ne. 11:3. 15. See 1 Ne. 11:13–33; 2 Ne. 2:6–10; Mosiah 3:5–12; Alma 7:7–13; 3 Ne. 27:13–16. 17. 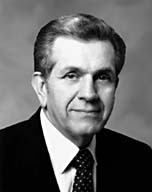 See George D. Durrant, “Helping Your Children Be Missionaries,” Ensign, Oct. 1977, 67. 18. As quoted in Donna Smith Packer, On Footings from the Past: The Packers in England (1988), 329. 20. The Book of Mormon (1830), 105; see also 2 Ne. 25:26.